Cartersville is the seat of Bartow County where it sits along the northwest edge of the Atlanta Metro Area. It has a historic downtown district with dozens of delightful shops and restaurants, beautiful displays of public art, two fantastic theatres, highly rated schools and so much more. Cartersville has the comfortable and familiar feel of small-town America while still providing its residents with all the modern amenities and services you’d expect to find in a much larger city. There’s a near-even mix of homeowners and renters in Cartersville, with homeowners having a slight two percent edge. Surprisingly, Cartersville still has affordable housing despite being ranked as the best place to live in Bartow County by Niche. The median home value here is just $156,000, nearly $30K under the national average ($184,700). Rent is also cheaper in Cartersville; the city’s median rent is $851, compared to the national average of $949. Ranch-style homes are the most popular. Cartersville is a car-dominant city because it’s not served by any public transportation system. There are several major roadways that travel through the city, and this makes commuting by car even more accessible. These roadways include Interstate 75, which runs north to south along the eastern side of the city, U.S. Highway 41, U.S. Highway 411, State Route 20, State Route 61, State Route 113 and State Route 293. The downtown district is the most walkable part of the city, making it easy for pedestrians to run their errands on foot or bike. Cartersville’s population is made up of 61 percent Whites, 22 percent African-Americans, 13 percent Hispanics, and three percent people of two or more races. The city has more females than males with women making up 53 percent of the population, and a fourth of the adults have earned at least a bachelor’s degree or higher. Cartersville is also diverse when it comes to the age groups of its residents. The fact that Cartersville is such a family-friendly community is confirmed when its largest age group (17 percent) is children under the age of 10. The second-largest group is adults aged 35-to-44 at 16 percent. With 13 percent being made up of seniors 65 and older, Cartersville is also very popular among people entering retirement. The median household income in Cartersville is $47,076, which is lower than the national average ($55,322). The difference is a little closer when you look at the median individual income, however. In Cartersville, the average individual earns $27,031 compared to $27,419 nationally. The unemployment rate in Cartersville is three percent, just under the national average, currently 3.8 percent. Cartersville’s dining scene is filled with plenty of opportunities for enjoying a memorable meal. From award-winning chef-owned restaurants to pet-friendly eateries, you’ll find everything you’ve ever wanted here and more. In the city’s historic downtown, you’ll find an excellent variety of restaurants, like Maine Street Coastal Cuisine, whose shrimp and grits was honored in 2016 as 100 Plates Locals Love by Georgia Eats; the Appalachian Grill; and the family-friendly restaurant/sports bar, Jefferson’s. If you’re craving good\, old-fashioned burgers, hot dogs, and fries, then go to Four Way Lunch. It’s been open since 1931 and it’s the oldest restaurant in Georgia without a telephone. Sriracha Thai Cuisine is highly-recommended for authentic Thai eats, while at Table 20, Chef Chris Lyons brings his fine dining take on traditional Italian food. Want to bring your pet? You’ll find plenty of pet-friendly establishments in Cartersville, including Coconuts Ice Cream, The City Cellar and the Ate Track Bar and Grill. Cartersville also has a good selection of quality bars, pubs and other nightlife destinations. Some of the most popular gathering places and watering holes among the locals include Sixes Tavern, Tom’s Place, The Tavern Downtown, and The Local Bar and Grill. Cartersville has plenty to see and do, especially for those who love art and history. It’s home to the Smithsonian-affiliated Booth Western Art Museum, the second-largest museum in Georgia and curator of the largest permanent exhibition of Western art in the Unites States. It’s also home to the Bartow History Museum and world’s first outdoor Coca-Cola sign, which was painted in 1894. The famous Etowah Indian Mounds archeological site is located just south of the city, and the Tellus Science Museum is where you can watch a live video feed of meteors being tracked by a NASA-installed camera. 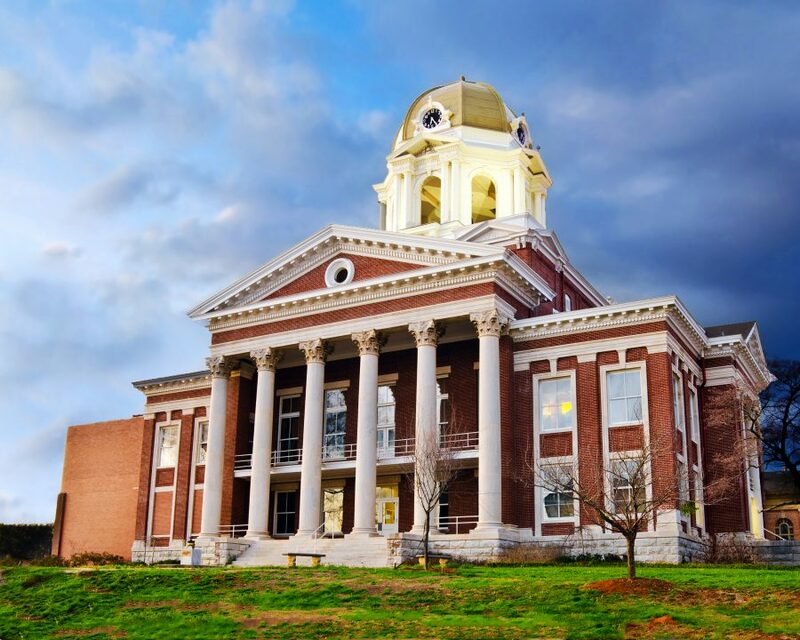 Other popular attractions in the area include Old Car City USA, Pettit Creek Farms, the Rose Lawn Museum, and the historic districts in nearby Adairsville and Kingston. Or, you can catch a live performance at the Cartersville Grand Theatre, or watch a show put on by The Pumphouse Players at The Legion Theatre. With two senior centers operated by Bartow County Senior Services, adults 50 and over have plenty of opportunities for enjoying social activities, breakfasts and luncheons, arts and crafts, games, day trips, fitness classes and so much more. There’s one senior center located on Beavers Drive, and another on Zena Drive. Cartersville also makes it easy for residents to have access to world-class medical care and healthcare support. The primary medical services provider in Cartersville is the Cartersville Medical Center, but there’s also Northside Hospital just a short drive east, Floyd Medical Center to the west, and WellStar Kennestone Hospital to the south in Marietta. There’s a reason why Niche named Cartersville the best place to live in Bartow County. The city has a rich history, a promising future and a vibrant present. It has affordable housing, excellent schools, and all the amenities you need to enjoy a wonderful quality of life. If you’re moving to the Atlanta Metro Area, this is a city you need to consider when looking for your next hometown. Sign up for home trends updates sent straight to your email!